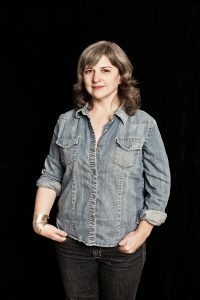 Erin Courtney’s Obie award winning play A Map of Virtue, produced by 13P and directed by Ken Rus Schmoll, was described by the New York Times as “one of the most terrifying plays of the past decade”. Her play I WILL BE GONE, directed by Kip Fagan, premiered at ATL, Humana Festival. Her new play ANN, FRAN and MARY ANN is a Playwrights Horizons commission. She has written two operas with Elizabeth Swados. Her other plays ALICE THE MAGNET and DEMON BABY were produced by Clubbed Thumb. She is an affiliated artist with Clubbed Thumb, as well as the co-founder of the Brooklyn Writer’s Space. Ms. Courtney teaches playwriting at the MFA program, Brooklyn College. MFA, Brooklyn College. BA, Brown University. She is a member of New Dramatists, a MacDowell Colony fellow, a Working FarmPlaywright through Space on Ryder Farm and a Guggenheim Fellow.